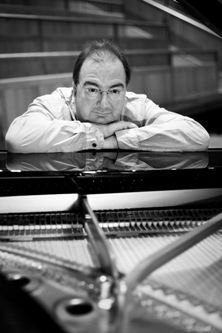 Neil Brand performs live piano accompaniment to F.W. Murnau's 1927 film "Sunrise: A Song of Two Humans". This Hollywood film by German genius F.W. Murnau is a complex, warm, deeply felt and brilliantly told story of love and betrayal, disillusion and redemption set contrastingly in a hauntingly realised lakeside village and a bustling cityscape. Neil Brand has been accompanying silent films for nearly 30 years, regularly in London at the Barbican and NFT, throughout the UK and at film festivals and special events around the world, including Australia, New Zealand (three times), America, Israel, Sweden, Denmark, France, Germany, Ireland, Luxembourg, and, in Italy, the Bologna, Aosta, Bergamo and Pordenone festivals where he has inaugurated the School of Music and Image.